I think I have watched his late night TV show since it began, not exactly always but often. 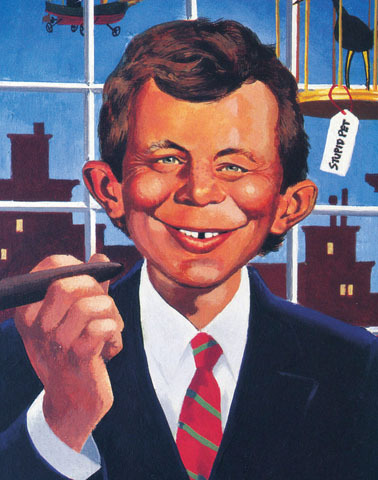 From the start my enthusiasm for Dave had a lot to do with his frequently noted resemblance to the great mascot of Mad magazine, Alfred E.“What Me Worry?” Neuman. 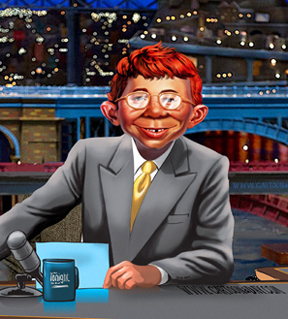 Like others again, in my youth I admired Alfred E. Neuman a lot. The David Letterman who hosted a new kind of US late night TV interview show seemed to be Alfred E. Neuman come to life, in the flesh. And for people like me that was a big attraction. 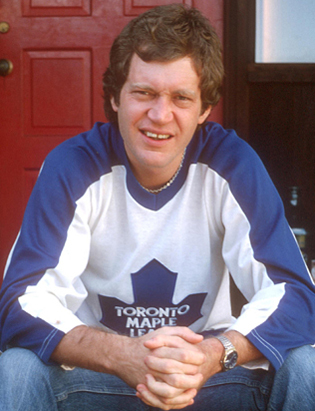 I think I liked Letterman partly because I am Canadian as well. Dave’s sidekick and band leader Paul Shaffer was from Canada. (Thunder Bay, Ontario, in fact — a real city in the wilderness.) 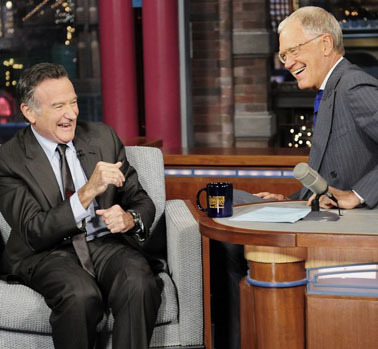 And Dave often enough showed a degree of respect for Canada and Canadians rare on US TV! I also warmed to what has appeared to be Letterman’s underlying political stance. His late night show at NBC started early in 1982 and carried on until 1993. 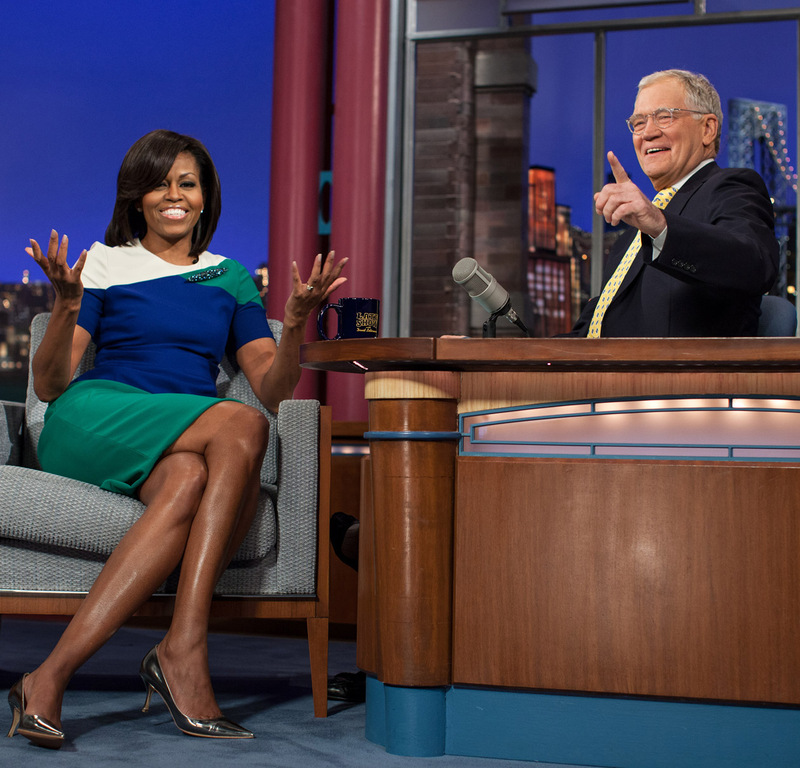 Dave and Paul then moved to CBS, where the show carried on until last night, on Wednesday, May 20, 2015. So Dave was around for the long conservative presidencies of Ronald Reagan and George H.W. Bush — and then, after the turbulent Clinton era, throughout the dismal Bush-Cheney shock-and-awe debacle, as well as the (more or less) countervailing Obama years. My sense was that Dave really did not much admire the hard right-wing conservative streak in recent American history, and did what he could to relieve it. 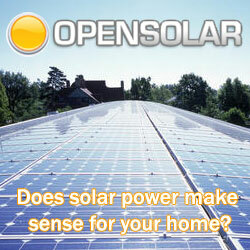 His was the first big-time TV show of its sort back on the air after the grim 9/11 disaster as well. He was always very modest intellectually. But he had the political courage (and independence) of the ordinary intelligent person who has prospered in the real world. There is less and less in the USA today of an earlier Democracy in America, bred to no small extent by the old independent family farm culture of the 19th century Anglo American frontier. Without ever saying much explicitly, Dave from the Midwest Hoosier State of Indiana often enough seemed to be trying to keep something of the old frontier democracy alive. Then there was his mother, who still lived in Indianapolis, and her intermittent role on the show. It was absurdly corny in many ways, of course, but somewhat refreshing too — like stupid pet tricks and top 10 lists. And seeing Dave’s mom in action in the house he grew up in (presumably? you thought in any case) helped you understand something deeper about Dave. Wife Regina and son Harry at last show, Wednesday, May 20, 2015. Finally, there was the great surprise of Dave’s late marriage and fatherhood. 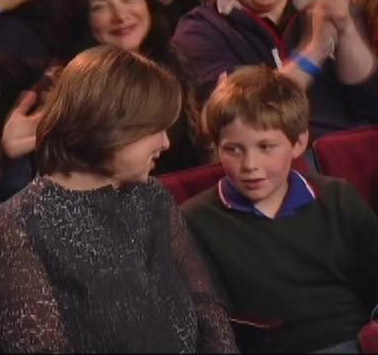 His wife Regina and son Harry were at the last show last night, in the audience, along with a friend of Harry’s who Dave introduced at one point, because that’s what Harry wanted. 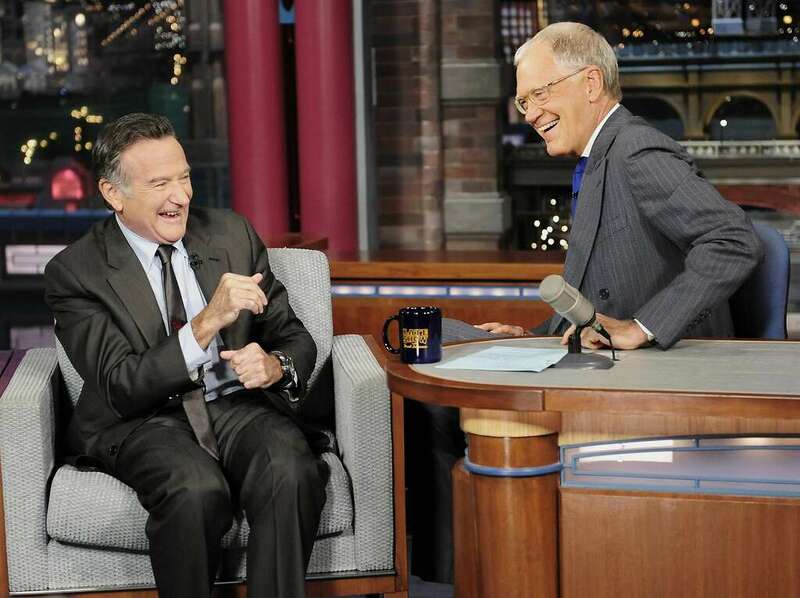 Along with his open-heart surgery, avoiding the medical history that had killed his father too early, his late-in-life family humanized David Letterman in a number of crucial ways, I think. His romantic life has not been a story of perfection, it seems clear enough (who’s is? ), but he became an upstanding family man in the end. And, as he seemed to suggest in some of his parting comments last night, that has given him something to look forward to and value in his retirement from late-night TV, at the age of 68. I am almost the same age. And I’m glad David Letterman’s late-night TV show has been around, to help mediate my own neighbourly interaction with what John Gunther so memorably called “the greatest, craziest, most dangerous, least stable, most spectacular, least grown up and most powerful and magnificent nation ever known,” just about a year before David Letterman was born in the Hoosier State. More important still, Dave has amused and entertained a great many of us, very late at night and early in the morning, when we needed it most. Here’s hoping he and Regina and Harry and all his friends and fellow workers beyond his family have as good a rest of their lives as possible. And last night he did seem about ready, able, and willing to do just that.